When your husband’s got an entire school in NTU named after him, it’s hard to imagine being known as anything other than Mrs Wee Kim Wee. 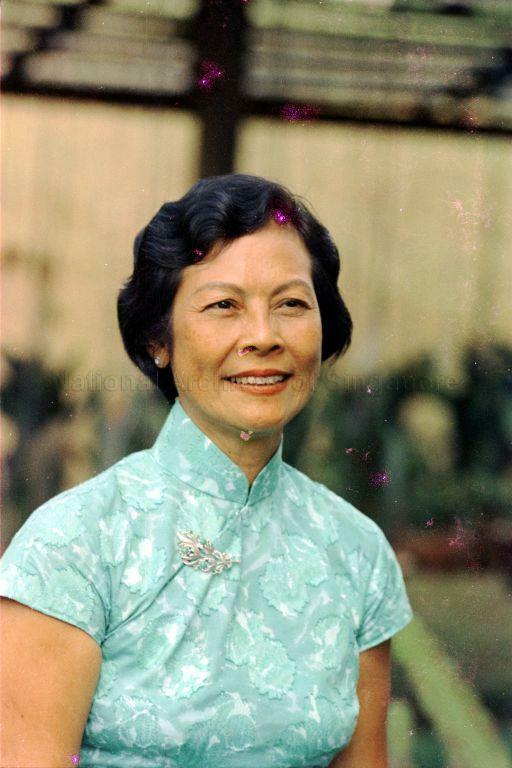 But Mdm Koh Sok Hiong has made an indelible mark on the hearts of Singaporeans in her own way. Having lived a long and fruitful 102 years, faithfully by her husband’s side, during his presidency. 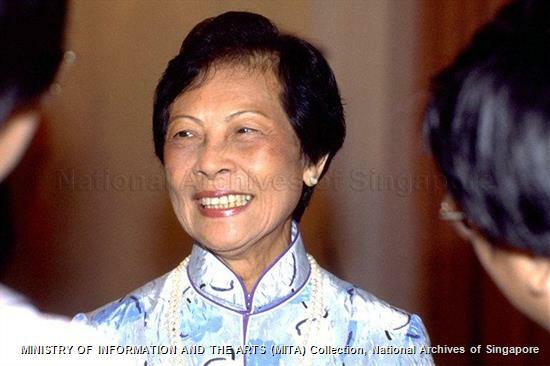 As we bid farewell to Mrs Wee Kim Wee, let’s take a trip down memory lane to learn some lesser-known facts about her, as we celebrate her life and mourn her passing. 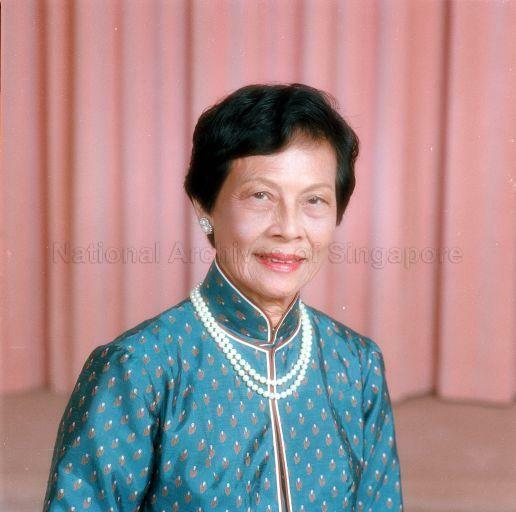 Like Mr Lee Kuan Yew, Mdm Koh Sok Hiong joins the ranks of notable Peranakans in Singapore. 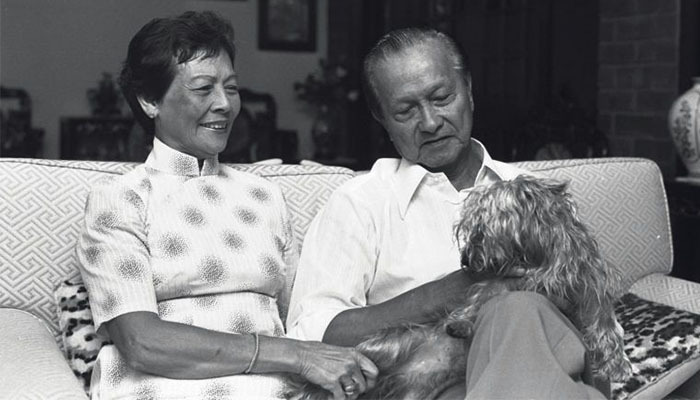 Born in 1916, as the eldest of eight siblings, Mdm Koh’s father was a Hokkien businessman who built boats, while her mother Koh See Neo was a Nyonya. Mdm Koh loved to spend time in the kitchen, whipping up delicious dishes for her guests — including foreign dignitaries and citizens. She acquired her culinary skills by studying her grandmother in the kitchen, from the tender age of 10. Ambassador-at-Large Tommy Koh was so impressed by her culinary skills that he wrote that she once cooked for a group of Japanese whom she hosted. And that they “ate to their hearts’ content” and went away “burping happily”. In her later years, as her health declined, her family would bring her to the kitchen so she could smell and watch food being prepared. She’s also compiled and published a book full of her Peranakan-inspired recipes. Proceeds from Mdm Koh’s signed cookbook, which amounted to a whopping $1 million, went to charities of her choosing. Her daughter added that she loved caring for the less fortunate in small ways. 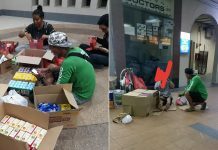 In particular, treating a karang guni man who frequented their house, to food and snacks. 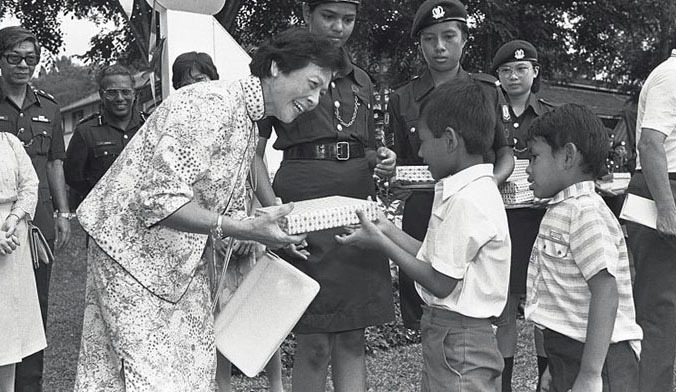 Mdm Koh Sok Hiong went on to support multiple charities long after Dr Wee stepped down as president in 1993. Ever the fashionista, Mdm Koh was famous for her elegant and modest dress sense. With one of her black numbers with floral embroidery, featured in an exhibition at the National Gallery of Singapore back in 2012. 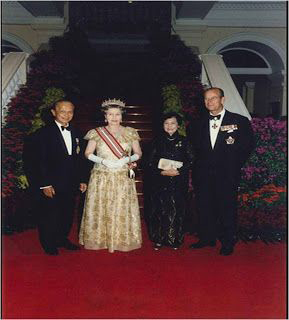 She’s met THE Queen Elizabeth too in a cheongsam too. Her favourite tailor was Daniel Boey, who collaborated with her since she was 30, to create over 100 dresses. In the aftermath of a sudden stroke in 2015, Mdm Koh required tube-feeding because of her condition. Her family reportedly put a little bit of durian on a spoon, to allow her to taste it. 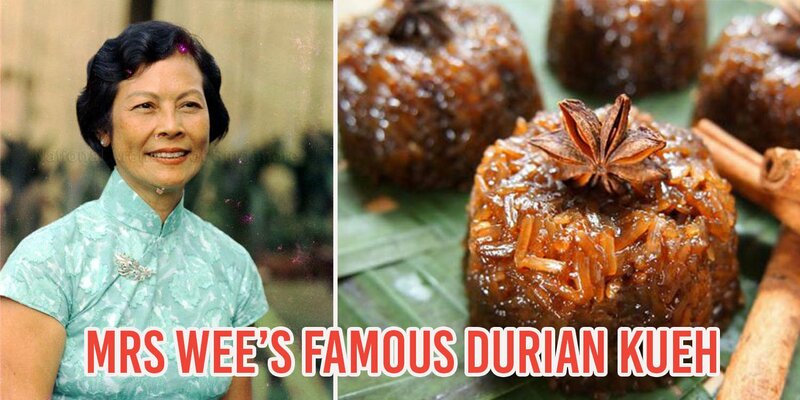 A popular recipe was her Kueh Wajek Durian, glutinous rice kueh made from her favourite fruit, gula melaka & coconut milk, as featured in her cookbook, “Cooking For The President”. Mdm Koh married Dr Wee Kim Wee in 1936, right before the start of World War II. Her wedding was conducted in Mandarin at the United Chinese Library. Her husband later revealed in a 2004 memoir that due to the language barrier, he hilariously did not understand everything fully. I have no money. But whatever I have I give to you. She then resolved to stay by his side, supporting him as he worked as a journalist, a diplomat and finally a president. Their blissful union resulted in 7 children, 6 daughters and 1 son. 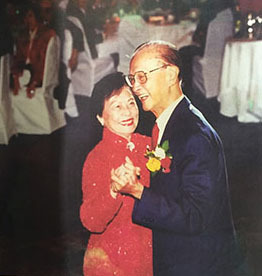 Dr Wee has written voraciously about his relationship with Mdm Koh, in his memoirs. Vows are meant to be kept and one’s word is one’s bond. Whether it was Mdm Koh’s tenacity or graciousness, that made him so steadfast in his commitment to her as a husband, we can’t say for sure. But it’s definitely touching to see that their marriage played such a defining role in his life. 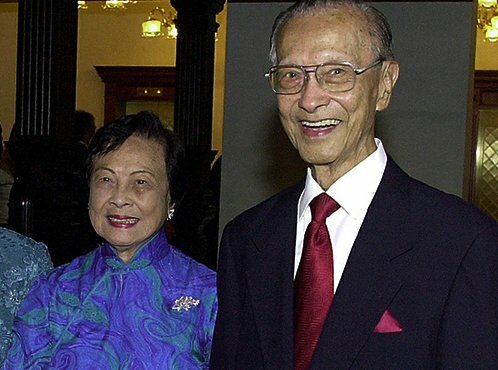 She spent an incredible 69 years of her life married to Dr Wee after all. She celebrated her 102nd birthday on Friday (6 Jul), shortly before she experienced breathing difficulties. 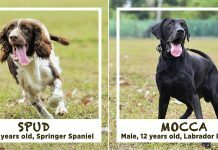 Her condition worsened the next day, and she was admitted to Changi General Hospital. However, she could not be resuscitated and passed away on Saturday (7 Jul). Mdm Koh’s numerous charitable contributions aren’t as well-known as her husband’s, but that’s not to say that they were any less important. President Halimah Yacob praised her for “serv(ing) the people with grace”, and being a “steadfast advocate of education”. 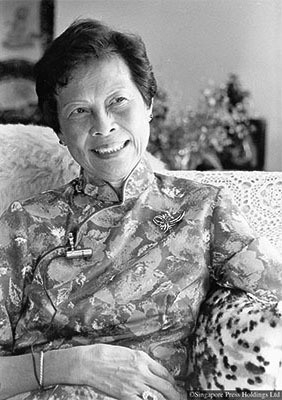 After Dr Wee Kim Wee’s presidency, her efforts to provide opportunities for disadvantaged children and youth continued, even in her later years. 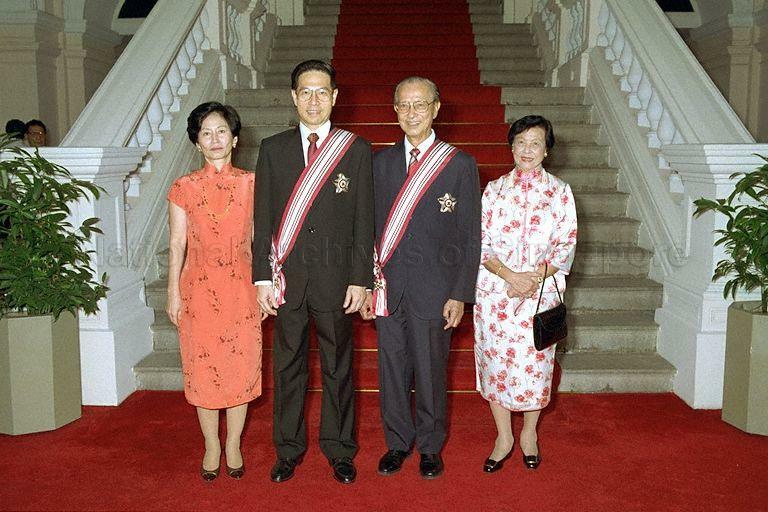 The late Mrs Wee Kim Wee used her culinary prowess to support her husband in his ambassadorial duties in Japan and Korea from 1973 to 1984. She planned dinner parties and personally hosted dining receptions featuring her signature dishes. Mrs Wee was so adept at planning these parties, that she aced organising “formal sit down” for 20 officials and cooking for 500-600 guests at Singapore’s National Day reception. For all of Mdm Koh’s worthy contributions to Singapore, we think she’ll like us to remember her love story with Dr Wee Kim Wee most of all. As we mourn her passing, let’s take comfort in the fact that she’s finally been reunited with her soul mate, after 13 years. Singapore bids you a fond farewell, Mdm Koh Sok Hiong. You’ll always be more than Mrs Wee Kim Wee to us. Featured image from National Archives of Singapore and Citarasawan.